Those are the strained words I spoke that morning three years ago when I presented at the hospital and was asked when I had last felt my baby move. The floor was beginning to fall from under my feet, but I knew I needed to convey important information, critical information; and I couldn’t. I could barely get out those three simple words. A baby’s movements are a subjective thing, they are interpreted by a mother’s feeling of them, her ability to recognise a potential problem and her confidence that any concerns are warranted enough to seek help. With six stillbirths a day in Australia, you would think there’s a better way. Once a pregnant mother does present at hospital with concerns, staff are left to assess the situation in the present time and sometimes it is just too late to save the baby. So, what are we doing to be proactive in preventative care? 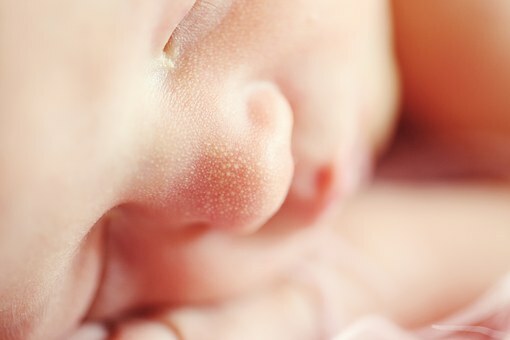 With stillbirth rates stagnating for 20 years now, the call was put out recently to try to put a dent into the woeful stillbirth rates in Australia. To take a proactive approach to this public health concern. Enter Bloomlife; who are now working with The Stillbirth Foundation to actively adapt and develop technology that may help reduce those rates. Their proposed tracking devise looks similar to their devises for monitoring contractions, but this devise is specifically being designed and developed for an expectant mother to wear during her pregnancy, to monitor her baby’s movements in the womb. A devise that, if successful, she can pick up off her local chemist shelf. It’s hoped that it can impact those rates with a device that monitors movements in a predictable and accurate way, making it sensitive to any decrease (or noticeable change) in movements from baby, meaning it could pick up on variances before movement ceases completely, and the baby is stillborn. Hence parents and medical professionals would have an accurate record of any changes in baby’s patterns that could signal something is wrong and baby is in distress, and hopefully act before death occurs. The headline around the development of this device screams that it “Could Prevent Stillbirths”. Could this little contraption actually deliver on that headline? Or is this exploiting the anxieties of mothers everywhere? Is it feeding into the fear machine of pregnant mothers? Well, that may have some truth to it as well. There is always the potential to exploit anything for profits these days, but you can’t deny the positive potential this could have to a wide group, including mothers who are having a subsequent pregnancy after a stillbirth- when mental health plays a significant part in a healthy pregnancy outcome, but perhaps also rural mothers who don’t have access to regular perinatal monitoring, for mothers who are having a multiple pregnancy, or really in any complex pregnancy that requires accurate and consistent monitoring to ensure baby’s well-being. So, do we really know what the impact a device such as this would make to those appalling stillbirth figures? – Only time will tell. The device is still in the development phase. But having this developed in conjunction with The Stillbirth Foundation and, having them offer that accelerated development to make inroads on this issue is a very proactive development and puts stillbirth prevention firmly at the core of developing practical solutions for this public health matter. Speaking as a mother whose baby did die, would I be inclined to buy this of my local chemist shelf? Previous Pregnancy and Infant Loss – Quotes from our experience.